Looking for movie tickets? 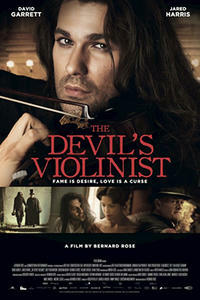 Enter your location to see which movie theaters are playing The Devil's Violinist near you. In 1830 London, famous Italian violinist, composer and womanizer Niccolò Paganini (David Garrett) woos his host's daughter, thereby angering the man (Jared Harris) who succeeded in bringing him to England.